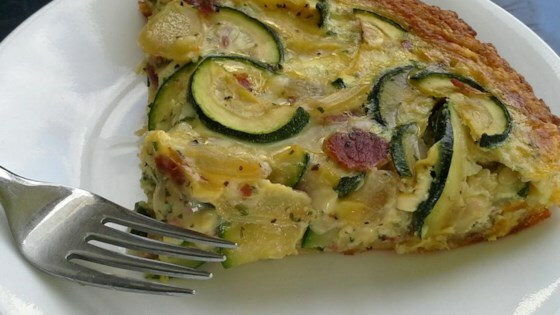 "A quick and yummy combination of zucchini, refrigerated crescent rolls, and eggs -- tastes like you spent hours in the kitchen!" I notice the directions call for a square baking pan - it actually should be a 9-inch pie pan. Not sure how that got mixed up!